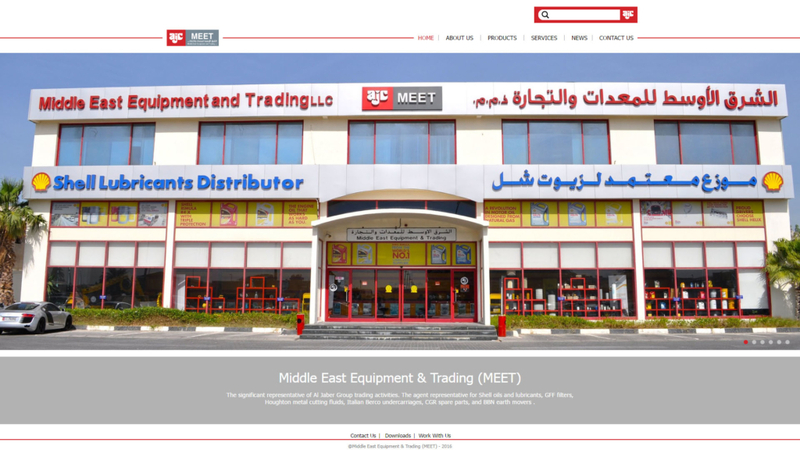 Abu Dhabi – 27 September, 2016 – Middle East Equipment & Trading (MEET), a significant representative of Al Jaber Group trading activities, launched today its brand new website with the URL: www.aljabermeet.com. The new MEET website offers visitors an informative hub with detailed information on the Company’s products and services. MEET’s new website is a reflection of Al Jaber Group brand guidelines which are characterized by clean design with simple lines offering clarity and modernity, in addition to ease of use. The new website also displays all of the products MEET trades in with detailed description and photographic illustrations, making it a user friendly and easy to access website.